This year KotyKatz Bengals will be showing two Bengals at the Toledo Cat Show – Presented by Great Lakes Cat Consortium and Glass CiTICAts Cat Club. The event will take place on Saturday February 9 and Sunday February 10 at the Lucas County Rec Center from 9am – 4pm. For more information about the event, exhibitors, and vendors, click here. 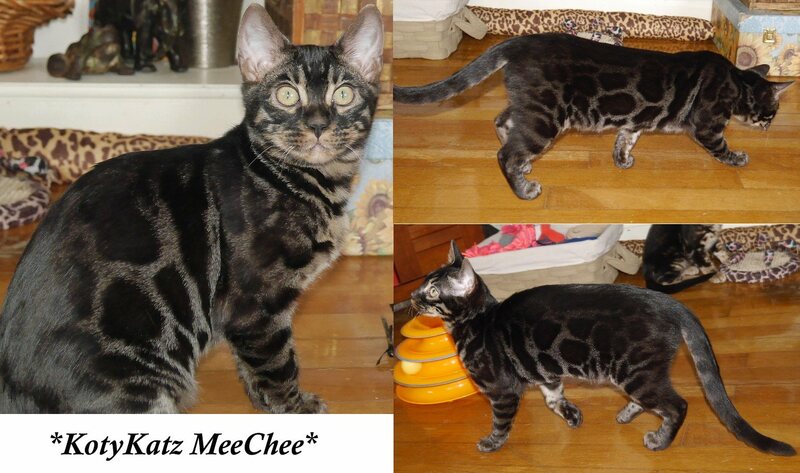 The Bengals shown will be KotyKatz MeeChee, and Pouncing Paws Abbymya of KotyKatz. This entry was posted in Cat Shows. Bookmark the permalink.